What Does Code P2111 Mean? 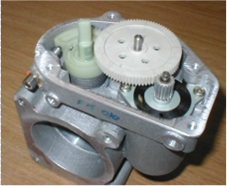 The engine computer (PCM) controls the Throttle Actuator Control (TAC) system, also known as the Electronic Throttle Control system (ETC). This includes the motors that move the throttle plate. The PCM looks at the accelerator pedal position sensor (APPS) on the driver’s pedal to determine how fast the driver wants to go and then determines the appropriate throttle response. 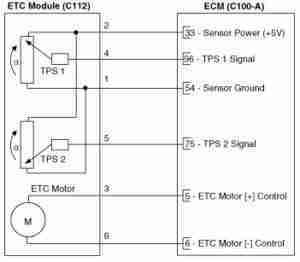 The PCM accomplishes this by a changing current flow to each of the TAC/ETC motors. This moves the throttle plate to the desired position. The main component of the TAC/ETC system is the throttle body, which is located between the intake manifold and the air filter. Usually, it will have one or more TAC / ETC motors to move the throttle plate inside, and one or more throttle position sensors (TPS) to let the PCM know where the throttle plate is located at all times. 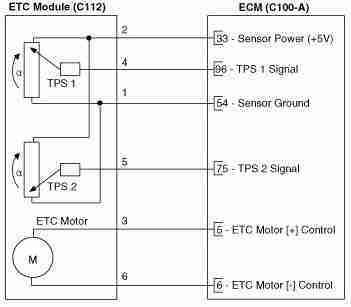 it does not match the actual voltage being sent back from the TPS when the TAC/ETC motors are commanded to the closed position. Note: This code is particularly common on late model Fords. 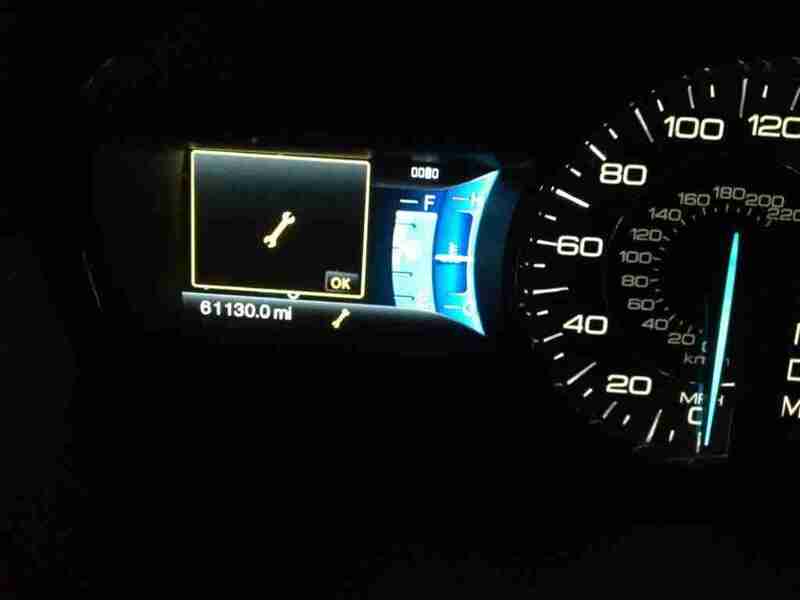 A member of the editorial team of Trouble Codes has experienced this issue after 65,000 miles on his 2013 Ford Explorer. The replacement of the throttle body resolved the issue. Please note that a replacement OEM throttle body from Ford ( $200 to $300 ) is highly recommended. It is not a good idea to replace with a less expensive non-OEM replacement part. What are the common causes of code P2111? Please note as mentioned in the introduction section, that this code is common on late model Fords such as 2005 and later. There may even be a recall available for your vehicle ( https://www.ncconsumer.org/news-articles/nccc-petitions-nhtsa-for-defect-investigation-into-ford-escape-vehicles.html ). What are the symptoms of code P2111? The code may be intermittent and slowly get worse over a week or so until you are unable to drive the car. How do you troubleshoot code P2111? Next, see if there are any other diagnostic fault codes. Insure that the battery is fully charged and not weak. If not sure, have the battery tested. Most auto parts stores will test them for free. Weak batteries can cause the current at the electronic throttle motors to go up. Higher than normal under hood temperatures have been known to contribute to this as well. Marginal/weak batteries have been known to set an intermittent P2111 fault code. Diagnose current faults first, in the order in which they are stored. Misdiagnosis occurs when this code is diagnosed when it is a stored code, especially while other codes are active. Next, locate the Electronic Throttle Control (ETC) system on your particular vehicle. Usually, it is located between the intake manifold and the air filter. Once located, remove the tube that runs from the ETC system to the air filter. Once removed, visually inspect the throttle plates to see if they are clean and free of debris. With the ignition switch off, you should be able to slowly rotate the throttle plate by pushing in on it. It should slowly rotate to the wide open position. If there is a considerable amount of sludge behind the plate, clean it while you are there, taking care not to damage the throttle body by pushing in very quickly or by doing so while the ignition switch is in the “Run” position (unless instructed to do so by the vehicle manufacturer). Clean behind the plate area by spraying a rag with carburetor cleaner and wiping it out. As always you should never spray anything into the intake manifold, as this can cause all the deposits to travel into the cylinders coating the spark plugs, possibly causing a cylinder misfire and worse. Once completed, reattach the hose from the ETC system to the air filter housing. Perform an ETC system relearn procedure. Clear the diagnostic trouble codes from memory, and see if the P2111 code returns. If it does not, then the sludge buildup was most likely your problem. If the code does return, check connections at both the PCM and the throttle body. Disconnect the negative battery cable before unplugging the connectors at the PCM or the throttle body. Once located, visually inspect the connectors and wiring. Look for scraping, rubbing, bare wires, burn spots or melted plastic. Pull the connectors apart and carefully inspect the terminals (the metal parts) inside the connectors. See if they look burned or have a green tint indicating corrosion. You can get some electrical contact cleaner and a plastic bristle brush at any parts store if cleaning of the terminals is needed. Let them air dry, get some dielectric silicone grease and put some where the terminals come into contact. Clear the diagnostic trouble codes from memory, and see if the P2111 code returns. If it does not, then connection issues were most likely your problem. If the P2111 code returns, you may want to check the resistance of the TAC/ETC motors. With the ignition switch in the off position, disconnect the electrical connector at the throttle body. Locate the 2 pins that go to each motor on the throttle body. Using a digital volt ohmmeter (DVOM) set to ohms, find the resistance of each motor. Each motor should be approximately between 2 and 25 ohms (check manufacturers specs for your vehicle). If the resistance is either too high or too low, the TAC/ETC system (throttle body) will need to be replaced. If all tests have passed so far, you may want to check the voltage signals to each ETC motor, and/or resistance of the wiring between the TAC/ETC motors and the PCM. 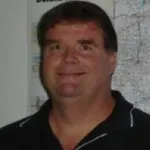 If any of these tests fail, it would indicate wiring repairs are needed between the PCM and the TAC system / Electronic Throttle Control / throttle body. If all tests have passed to this point, and you continue to get a P2111 code, this would most likely indicate a failed Throttle Body Assembly, although a failed PCM could not be ruled out until the throttle body had been replaced. Anytime the throttle body is removed or replaced, the PCM will need to go through a TAC / ETC system relearn procedure in order to relearn throttle plate position (idle relearn). Also, if a PCM must be replaced, it must be programmed in order it work on that particular vehicle. At this point it is probably wise to consult with a trained automotive diagnostician. P2111 can be either a mechanical problem, or it can be an electrical issue, depending upon what caused the PCM to set the code.